There are many societal norms we can rebel against if we want. Not hungry in the morning? You can skip breakfast. Tired of the 9 to 5? You can buy a Volkswagen van and tour the country until you run out of money. Usually, if something doesn't feel right, you can just opt out, practical repercussions aside. But there is one imperial force against which individual rebellion is futile: Daylight Savings Time, which begins March 10th at 2 am, when the clocks will be moved forward one hour. Not every region follows the practice, but if you happen to find yourself in the vast majority of the U.S. where clocks are set forward an hour in the spring and back again in the fall, this is one instance where you'll make it easier on yourself by going with the flow. If you're in charge of keeping a facility running on time, this wisdom applies doubly. 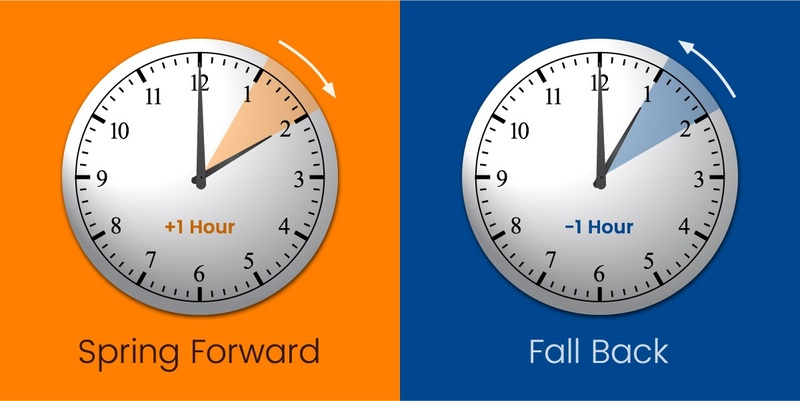 Preparing for Daylight Savings Time will help you avoid the headaches that can arise during a transition that is known for causing disruption. Daylight Saving Time is so ingrained in our lives that it comes with a mythology that we tend to accept without second thought. First off, it's Daylight Saving Time, not Daylight Savings Time - although the latter usage has become part of our vernacular. So, feel free to correct people on the errant usage, but do so at the risk of sounding like a know-it-all. Another myth is that Daylight Saving Time has agrarian origins, similar to the myth that farming was the reason kids started getting summers off from school. In fact, farmers were against the idea of Daylight Saving Time when it was first introduced. Instead of arising from the agricultural tradition, the idea to shift time twice a year arose in the wake of the Industrial Revolution. The concept of Daylight Saving Time originated in the early 20th century in England, the idea being that if everyone could agree to set their clocks ahead in the spring, they would spend more waking hours basking in sunlight. Aside from boosting the enjoyment of the daytime, such an agreement would, as the theory proposed, spur commerce by allowing people more time to shop after work. As a bonus, it was thought consumers might even have more money to spend since they'd be saving on energy costs, facing one less hour of darkness during their waking hours and thus using less energy for artificial lighting. Germany was the first government to employ Daylight Saving Time on a mass scale, using it during World War I as an energy saving measure. The U.S. adopted the practice in 1918 after joining the war, but frustrated farmers successfully lobbied to discontinue the measure when the war was over. Daylight Saving Time didn't benefit early risers like farmers, since they were already soaking up all that the sun had to offer by waking at dawn. All the city-centric concept did for them was to throw off their schedules. The U.S. brought Daylight Saving Time back during World War II, but all the while, New York City had continued the practice. Other localities followed suit, creating a disconnect where people couldn't count on uniform time from one area to another. So, in 1966, President Lyndon B. Johnson signed into law the Uniform Time Act, officially putting everyone on the same clock, ending the timekeeping chaos. While the institution of Daylight Saving Time would inarguably provide more sunlight later in the day and was thought to save energy, there were holdouts to the Uniform Time Act. Arizona and Hawaii are the two U.S. states that ignore Daylight Saving Time to this day. In Arizona's case, residents didn't see the need for an extra hour of daylight when that just meant more time in the scorching heat. Hawaii is so close to the equator that the time shifts are rendered moot. There has been some consternation in Arizona over the economic ramifications of the discrepancy with the rest of the country, but the state's rationale for eschewing Daylight Saving Time has gained an appreciation among some observers. Much of Indiana was also in non-compliance until 2006, when the whole state got on board with the time shift. That change provided an opportunity to study the before-and-after effects of the policy. One study found that, contrary to one of the founding justifications of Daylight Saving Time, household electricity usage actually went up in Indiana after the practice was adopted statewide. It turns out that more waking hours in the summer sunlight means more time in the heat, which means more use of air conditioning, a technology that wasn't on people's minds when the idea of moving the clocks an hour ahead was first conceived. 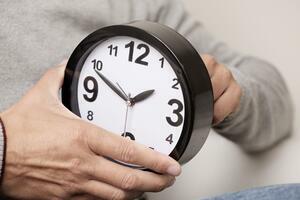 Other theorized benefits of Daylight Saving Time such as more outdoor recreation time and less crime – since fewer crimes are committed in daylight – aren't enough for some to justify the disruption caused by the time shift. The wrench that the shift throws into our daily lives twice a year outweighs any benefits, they argue. When the clocks move an hour ahead, people typically lose an hour of sleep. Ramifications of such sleep deprivation have been found to include more traffic accidents, on-the-job injuries and lost productivity at work. The concern is urgent enough that voters in California are deciding this fall whether to abolish Daylight Saving Time in the state. Then again, it has been argued that ending the practice would prove counterproductive by causing its own set of disruptions. Whether or not you think Daylight Saving Time is suitable to modern life, if you're in charge of your building's clock system, it's your job to makes sure those clocks are still running on schedule after the transition. Aside from the disruption everyone faces when their entire day shifts by an hour, there's the added intrusiveness of sending maintenance workers into meeting rooms, classrooms or hospital rooms to manually adjust each and every clock. Adjusting for Daylight Saving Time is made infinitely easier if you have a synchronized clock system that performs Daylight Saving Time updates automatically. American Time's clock systems, for instance, take away the annoyance of the biannual adjustments. SiteSync IQ® goes so far as to make the necessary adjustments to other systems in your building, such as scheduled bells or lighting. With the automatic updates to your clocks, you don't have to worry whether meetings or classes are starting on time, or that bells and tones are sounding when they're supposed to. Instead, you can attend to the countless other items on your to-do list. Thanks to automation, you could take some of the time you'd normally reserve to individually adjust each clock in your building, and dedicate it toward making sure your time system is in working order. The beginning and end of Daylight Saving Time serve as natural reminders to make sure your clocks are reliably keeping everyone on schedule. To ensure that a wired clock is syncing correctly, unplug it, wait at least 10 seconds, and plug it back in. The clock should be receiving synchronization signals from the master controller and display the correct time within 24 hours. You can take a similar approach to your wireless battery-operated clocks. Take the battery out, assuring the clock hands come to a complete stop, and reinstall it. This is a good time to check the life of your batteries, too. If a battery is supplying 1.5 volts or more, it should be good to go. The clock will automatically be on time within 12 hours or sooner. Attending to individual clocks won't do you any good if the master controller isn't working properly, so check the time on that central device. Make sure it displays the correct time, time zone and Daylight Saving Time setting. If something is off, check the power cables, plugs, and any antennas. For added peace of mind, check the master's network settings. For a Wi-Fi network, make sure you've got the proper settings for SSID (network name), passphrase and the time server. If you're working with a Power over Ethernet (PoE) system, take a look at your network time servers, and the cables running to the clocks. For American Time's SiteSync IQ, check the power at the system controller. If you want life to go smoothly during this transition, then this is one of those instances where you just have to get with the program, no matter how you feel about the concept of Daylight Saving Time and its purported benefits. Life gets easier if you have a synchronized time system that removes any anxiety that your clocks won't remain in step with the rest of the world. If your clocks update automatically, and you've made sure they're in working order, you can go to bed without worry on that Sunday of March, ready to fully appreciate that extra hour of daylight the next day.